You may be familiar with how to hang lights, build scenery, or run a high school/college/community theatre, but few are familiar with the nitty-gritty details of being a properties director or prop master. There has been an utter lack of information on this topic in the market, until now. 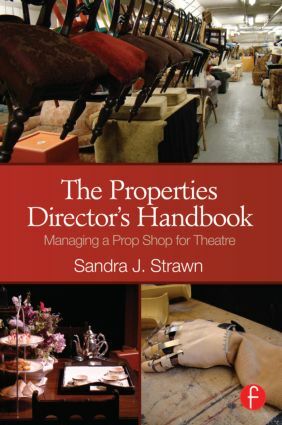 Sandy Strawn brings together her incredible 30 years of prop making and managing in this concise guide to managing a prop shop and show built. She skillfully explains planning, pre-production, production, and post-production procedures, budgeting, collaborations with other stagehands, and planning a prop shop from the layout of the spaces to the health and safety protocols for shop planning and workplace management. With this how-to book, you'll be able to keep your prop shop in tip-top shape.